With the improved features of Android OS, the battery life of the devices is getting lower and lower. Instead of optimizing the Android OS, the manufacturers are going for batteries with larger capacities. Few years ago, the device with 3000mAh battery seemed to be a huge for daily users, and now the device with same batteries are becoming the minimum requirement. There are few devices with 5,000mAh capacity, but the 6,000mAh battery seems to be an out-of-the-box thing. Oukitel, the Chinese smartphone manufacturer, had launched the Oukitel K6000 with a whopping 6,000mAh battery. Earlier Gionee launched a new smartphone Marathon M5 with 6,000mAh battery, but the company went for dual batteries instead of a single battery. With the 9V/2A quick charging function, the device can give upto 2 hours of talk time with just 5 minutes of charging. The device can last upto 40 days on standby and by using power saving mode, the device can be used for ten days. Few months back, this same company had announced that they are working on a new smartphone called Oukitel K10000 with 10,000mAh battery. Talking about the device specifications, it comes with a 5.5-inch HD IPS display with a 2.5D glass on top of it. It is powered by a MediaTek MT6735 quad-core processor along with 2GB of RAM. There is 16GB of internal storage and also a MicroSD card slot support for further storage expansion upto 32GB. On the camera front, it has a 13MP rear camera with LED flash and a 5MP front-facing camera. 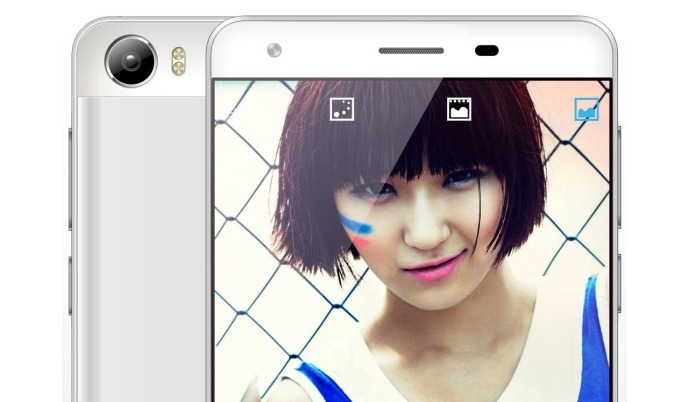 It runs on Android 5.1 Lollipop based Oukitel’s custom UI. The device also supports reverse charging that can be used to charge other devices with its huge 6,000mAh battery. Even with such a large battery the device measures just The device supports dual SIM dual standby and offers 4G LTE. Along with 4G LTE, the other connectivity features include Wi-Fi, Bluetooth 4.0, GPS/A-GPS, OTG, and MicroUSB 2.0.The pre-sale of the device starts from tomorrow, and it is priced at $139.99. At such a low price, the device doesn’t feel cheap instead it comes with a strong metallic frame and an Aluminum back cover that gives a premium touch to the device.